Steve Cooper reports “that once again these WikiLeaks show the defiance of the Russians and their continued weapon sales to rogue nations like Venezuela. The Venezuelan links to Iran, Hezbollah and Al Qaeda are no secret. This is just another trail that links Moscow to Al Qaeda via one of their proxies”. As I have said and repeated many times on radio and in articles that Russia and China are not our friends… please be aware of this fact by looking at their actions and not their words. Cooper further reports “that Hillary Clinton is a total failure as Secretary of State and the media is covering for her. If this were Condi Rice we were talking about, they would be asking whether she was going to resign every day. Between the WikiLeaks disaster that happened on her watch, the Russians selling weapons to rogue dictators or Iran's nuke plant. I could go on and on all day, trust me...there is plenty more. Muslim terrorists have also been caught crossing the Mexican border with Venezuelan passports. These were Arab men that learned Spanish so they could pose as Venezuelans, but they were really from the Middle East. How much of this are we going to stand? It is time to unleash hell on these Russian proxies and eventually Russia as well”. Iran is planning to place medium-range missiles on Venezuelan soil, based on western information source, according to an article in the German daily, Die Welt, of November 25, 2010. According to the article, an agreement between the two countries was signed during the last visit of Venezuelan President Hugo Chavez to Tehran on October19, 2010. The previously undisclosed contract provides for the establishment of a jointly operated military base in Venezuela, and the joint development of ground-to-ground missiles. Novosti reports the words of Igor Korotchenko, head of a Moscow-based think tank on international arms trade, saying that if the S-300 deal with Venezuela goes through, Caracas should pay cash for the missiles, rather than take another loan from Russia. "The S-300 is a very good product and Venezuela should pay the full amount in cash, as the country's budget has enough funds to cover the deal," Korotchenko said. Moscow has already provided Caracas with several loans to buy Russian-made weaponry, including a recent $2.2-mln loan on the purchase of 92 T-72M1M tanks, the Smerch multiple-launch rocket systems and other military equipment. If Iran, therefore, cannot get the S-300 missiles directly from Russia, it can still have them through its proxy, Venezuela, and deploy them against its staunchest enemy, the U.S.
Hezbollah now has excellent access to the United States through Central America and Mexico thanks to Iran and Venezuela. Our southern underbelly is more threatened than ever. When are we going to wake up and go on the offensive? You cannot win this southern battle war by being on the defense. Now is the time for offensive planning and action by our government. Today, the violence resulting from bloody inter-cartel battles over local markets and international smuggling routes through our border states affects just about everyone. Mexico’s security arrangements are a patchwork of institutions – there are more than 1,600 separate police forces dotted around the country – with little or no information-sharing and notoriously vulnerable to bribes and corruption. Aware of their inability to perform even basic tasks of law and order, the center-right Sr Calderón has deployed almost 50,000 army troops to win the nation’s streets back from organized crime. But Raúl Benitez, a security analyst and expert in military affairs, says that the brute-force approach has fallen far short of what is needed. “Militarizing cities without proper intelligence and information-gathering is never going to work,” he says. “There is a perception that the government is not controlling the situation.” That perception is increasingly reinforced by the numbers. According to the latest estimates, about 28,000 people have died as a result of drugs-related violence since Sr Calderón declared his war in December 2006. Since January alone, 8,000 people have been murdered, according to the Reforma newspaper – 255 or more of those were decapitated. Notice the similarity of bombings, decapitation and fear tactics utilized by the cartels and Zeta forces to the terror tactics of Hezbollah and Al Qaeda. Could there be a connection???? It is obvious to see that they are as our sources have proven. Mexico: here is the deal! Either you solve of the problem south of the US border or we do it together or we, the United States, will do it. That’s the Deal… By the way, I made the same suggestion to our government in 2002 and since then about Pakistan and the tribal areas harboring and supporting Al Qaeda and the Taliban.A country may take military action before it is attacked, “in advance where the deed may be anticipated” and when the threat is “instant” and “overwhelming.” The strict criteria under which this right may be invoked has entered into relevant international disputes ever since. What makes the contemplation of anticipatory self-defense thinkable today in regard to Mexico is the tide of violence that has risen throughout that country and the danger it poses to the United States. It is readily apparent with the numbers of assignations, blatant murders of innocents, bullets fired into El Paso and the terror along our southern borders. It is now time to enforce the rule-of-law along our southern borders. No more excuses…no more delays…no more politics. No more kowtowing to special interest groups, or claims by open-border believers and LaRaza. The fact is that the Citizens of the USA are in daily danger and are being killed because the border states of Mexico are controlled by thugs and terrorists copying Jihad tactics of mayhem and murder. Once again, the entire area is festooned with upheaval, violence, and lawlessness as it was in 1846. The northern states in Mexico; Baja California Norte, Sonora, Chihuahua, Coahuila, Nuevo Leon, and Tamaulipas are under rogue control, and the Mexican Police and Army cannot control them. Therefore, it is in the national interest of the United States to restore order because of this clear and present danger to US Citizens and our economy. (Report from Adam Thomson in Mexico City August 27, 2010). If our Federal Government will not execute an operational plan to secure our southern borders then the States and the people must do it. However, let me provide an executable plan of operations for the Federal Government to undertake with resolve and commitment to protect and secure the American people. The plan is basic and advanced unconventional/conventional war planning is already in place or at a minimum should be. This combines the best use of our Forces that will encompass intelligence, targeting, structural organization of our forces to accomplish the mission, base operations, offensive and defensive operations. First, organize three (3) Border Task Force Groups (BTFGs) and position them in three operational bases, one in Texas, one to be in Arizona and one in Southern California. We have existing bases in those states that can be utilized. There is no requirement to create any new bases. I will not name these existing bases because of operational security but Department of Defense can easily figure this out! The BTFGs will be organized based on joint task forces of Special Ops, Army, Air Force and Navy. Selected units and personal will be relocated and moved to these designated bases. I would also declare with Mexico, a 20 mile “No Go” zone on the Mexican side of the border. Any group or persons occupying this zone engaging in criminal or illegal activities against Mexico or the United States will be engaged and shot on site. There will be approximately 5,000 warriors assigned to each BTFG. The organization will be commanded by a Two Star “Warrior” and each of the three BTFGs will be commanded by a Brigadier General. The mission for the Command will be to target and conduct offensive and defensive operations on the Mexican side of the border. National Guard, Border Patrol, DEA, and local sheriffs units will conduct border security operations on the United States side of the border. This initiative does not violate any existing Posse Comitatus laws. The Posse Comitatus Act is a United States federal law (18 U.S.C. § 1385) passed on June 18, 1878, after the end of Reconstruction, with the intention (in concert with the Insurrection Act of 1807) of substantially limiting the powers of the federal government to use the military for law enforcement. The Act prohibits most members of the federal uniformed services (today the Army, Navy, Air Force, and State National Guard forces when such are called into federal service) from exercising nominally state law enforcement, police, or peace officer powers that maintain "law and order" on non-federal property (states and their counties and municipal divisions) within the United States. The statute generally prohibits federal military personnel and units of the National Guard under federal authority from acting in a law enforcement capacity within the United States, except where expressly authorized by the Constitution or Congress. The Coast Guard is exempt from the Act. The National Guard is and will be the asset of the State Governors to be used as required to augment the Active Force BTFGs operations on the US side of the border. Remove the Department of Homeland Security from any executive action completely. The concerns and anxiety of Americans, particularly in the Border States have grown significantly in the past year. Governor Jan Brewer has had to take extraordinary legislative action to help rectify the situation and we applaud her and others in Arizona for their initiative and courage. Changes in law enforcement operations have forced smugglers of drugs and illegal aliens into ever more isolated areas, increasing the number of deaths and the level of violence to a point where even the most hardened enforcement officials are alarmed. Sheriff Joe Arpaio continues to lead a campaign to take a stand against the purveyors of evil and illegal invaders in Maricopa County, Arizona. God bless you Joe! The number of arrests made by Border Patrol agents is one of the few reliable measurements of the rising influx. That number dropped right after 9/11, but it has since been climbing. In fact, the cost of protecting the nation's borders has increased 58 percent since 9/11, but in three of the four years since the attacks, the number of people nabbed by the Border Patrol still increased. In the fiscal year that ended in September, the Border Patrol reported 1.19 million arrests, compared with 932,000 in fiscal year 2003. The Pew Hispanic Center estimates that the number of illegal invaders in the United States has grown from 8.4 million in 2000 to 15 million today. The political ferment over illegal invaders has never been greater. 78 percent of Americans think and know that the government is not doing enough to control our borders. Additionally, Global jihad and jihadis are a major threat as they eye the southern border as a path of least resistance to strike inside the United States. Support the action groups and individuals that are fighting this war daily and let your representative and the Defense Department know that we want action to do what needs to be done to secure our Nation. Is there a Chavez terror network on America’s doorstep? The danger posed by a network of terrorists in the Americas is very real. Last May, Muhammad Saif-ur-Rehm Khan, a Pakistani applying for a U.S. visa at the American Embassy in Santiago, Chile, was detained after guards detected traces of bomb-making materials on his hands. U.S. officials discovered Khan’s link to the Islamist group Jamaat al-Tabligh. It is not clear how much they shared with Chilean investigators. Lacking evidence to prosecute Khan, Chilean authorities released him in January, and he left the country bound for Turkey. A high-ranking Chilean source informed me that, before his arrest, Khan lived and associated with persons of Egyptian, Saudi and Lebanese background — many of whom carried Venezuelan passports. One of the officials accused of issuing such Venezuelan identity documents to suspicious foreigners is Chavez confidante Tarek Zaidan El Aissami. Also Venezuela’s interior minister, El Aissami is of Syrian descent; his father is known for having publicly praised Saddam Hussein and Osama bin Laden; and his brother, Firaz, is an associate of the cocaine smuggler Makled. U.S. authorities could act today to degrade Chavez’s ability to support terrorism and Tehran. There are money-laundering, drug-trafficking or Iran-specific statutes they could invoke. The question is whether they will respond swiftly and effectively enough to prevent a deadly attack. The writer was ambassador to the Organization of American States from 2001 to 2003 and assistant secretary of state from 2003 to 2005. He is a visiting fellow at the American Enterprise Institute and managing director of Vision Americas LLC, which represents U.S. and foreign clients. SAN DIEGO -- A terrorist organization whose home base is in the Middle East has established another home base across the border in Mexico. "They are recognized by many experts as the 'A' team of Muslim terrorist organizations," a former U.S. intelligence agent told 10News.The former agent, referring to Shi'a Muslim terrorist group Hezbollah, added, "They certainly have had successes in big-ticket bombings." Some of the group's bombings include the U.S. embassy in Beirut and Israeli embassy in Argentina.However, the group is now active much closer to San Diego. "We are looking at 15 or 20 years that Hezbollah has been setting up shop in Mexico," the agent told 10News.Since the Sept. 11, 2001, terrorist attacks, U.S. policy has focused on al-Qaida and its offshoots. "They are more shooters than thinkers … it's a lot of muscles, courage, desire but not a lot of training," the agent said, referring to al-Qaida.Hezbollah, he said, is far more advanced. "Their operators are far more skilled … they are the equals of Russians, Chinese or Cubans," he said. "I consider Hezbollah much more dangerous in that sense because of strategic thinking; they think more long-term. "Hezbolah has operated in South America for decades and then Central America, along with their sometime rival, sometime ally Hamas.Now, the group is blending into Shi'a Muslim communities in Mexico, including Tijuana. Other pockets along the U.S.-Mexico border region remain largely unidentified as U.S. intelligence agencies are focused on the drug trade. "They have had clandestine training in how to live in foreign hostile territories," the agent said.The agent, who has spent years deep undercover in Mexico, said Hezbollah is partnering with drug organizations, but which ones is not clear at this time. He told 10News the group receives cartel cash and protection in exchange for Hezbollah expertise. "From money laundering to firearms training and explosives training," the agent said.For example, he tracked, along with Mexican intelligence, two Hezbollah operatives in safe houses in Tijuana and Durango"I confirmed the participation of cartel members as well as other Hezbollah individuals living and operating out of there," he said.Tunnels the cartels have built that cross from Mexico into the U.S. have grown increasingly sophisticated. It is a learned skill, the agent said points to Hezbollah's involvement. "Where are the knowledgeable tunnel builders? Certainly in the Middle East," he said. Why have Americans not heard more about Hezbollah's activities happening so close to the border? "If they really wanted to start blowing stuff up, they could do it," the agent said.According to the agent, the organization sees the U.S. as their "cash cow," with illegal drug and immigration operations. Many senior Hezbollah leaders are wealthy businessmen, the agent said. "The money they are sending back to Lebanon is too important right now to jeopardize those operations," he said. The agent said the real concern is the group's long-term goal of radicalizing Muslim communities. "They're focusing on developing … infiltrating communities within North America," the agent told 10News. Drug-Money Laundering "Equal to the Budget of Some Countries"
Iran is trying to take advantage of the uprisings in the Arab world to spread its influence. The Kuwaiti daily Al-Seyassah reported that Tehran is recruiting and training Shiites from Gulf countries, such as Saudi Arabia, Kuwait and Bahrain, which are oppose their Sunni-dominated regimes. Iran is trying to push the Arab uprisings in countries with a Shiite population from anti-government protests to sectarian violence, with the aim of toppling Sunni-dominated regimes to have new governments under the Iran's influence. Saudi Arabia understands that sectarian violence could endanger Sunnis' rule, especially in countries like Bahrain which has a Shiite majority. In order to safeguard the borders of the Sunni-world, therefore, Saudi Arabia is deploying its troops in Bahrain to prevent the ousting of the Sunni regime there. The ultimate battlefield, though, between Shiites and Sunnis over the rule of the Muslim world will be in Iraq. Tehran is already preparing for this scenario with the help of Latin American countries such as Venezuela. Al-Seyassah has published reports about Iranian training camps on the border between Venezuela and Colombia, where Shiites from the Arab world are taught to make bombs, carry out assassinations, kidnap people and transport hostages to other locations. These training camps are run by Iranian Revolutionary Guards in cooperation with Hezbollah and Hamas. The newspaper reports that the Shiite trainees fly to Caracas via Damascus, probably on the Venezuelan airline Conviasa, which covers the Caracas-Damascus-Tehran route. The weekly Conviasa's flights to Tehran are a cause for concern in Washington, due to the lack of transparency about what or whom they might be transporting.. The Kuwaiti paper mentions as well the trainees' presence in Colombia. The Iranian government allegedly enjoys in Latin America the support of the Revolutionary Armed Forces of the Colombian group, the FARC, which derives its primary source of income from drug trafficking. It is not a coincidence, therefore, that Al-Seyassah mentions that Iran finances its militias through narco-trafficking. Iran's support in Latin America should worry the US. The Iranian regime is expanding its ties and its influence in the US's backyard, and helping groups such as Hezbollah and Hamas finding new safe havens for their terrorist activities. Recently, Uruguay also showed strong interest in strengthening relations with Teheran. The Uruguayan Foreign Minister even went so far as to hail Iran's role in the promotion of human rights in the world. •"Iran's Revolution is a main symbol and role model"
•Iranian FM: "Iran and Venezuela can complete each other's role in the Middle East and Latin America"
Iran's 1979 Islamic Revolution has deeply and strongly influenced independence and freedom-seeking movements in the world, the Speaker of Venezuela's National Assembly, Fernando Soto Rojas, stressed. The Venezuelan lawmaker raised the issue in a meeting with Tehran's Ambassador to Caracas, Abdolreza Mesri […]. Rojas described the Islamic Revolution as the most important independence-seeking move and development during the last 100 years. "Iran's Revolution is a main symbol and role model"
"Iran's Revolution is a main symbol and role model for those nations that are seeking to get rid of the reign of imperialism to rely on their national power and potentials," he repeated. He further lauded Iran's economic and technical achievements, and the Iranian nation's resistance against the US expansionist policies and attitudes. Iran's Revolutionary Guard is allegedly training a large number of Kuwaitis, Bahrainis and Saudis in a private training camp located in […] a remote area near the borders of Venezuela and Colombia, and intends to use them to carry out terrorist activities within their respective countries and other areas across the world in case Iran is attacked militarily, [Kuwaiti] Al-Seyassah daily quoted a reliable source as saying. Iranian FM: "Iran and Venezuela can complete each other's role in the Middle East and Latin America"
Iranian Foreign Minister Ali Akbar Salehi and his Venezuelan counterpart Nicolas Maduro stressed expansion of mutual ties. "Iran and Venezuela can complete each other's role in the Middle East and Latin America for sure," said Salehi in a meeting with Maduro in Tehran […]. Nicolas Maduro arrived in Tehran on Friday for talks with Iranian officials. Ecuador's National Assembly speaker says "the negative propaganda" by the enemies of Iran and Ecuador will not be able to harm Tehran-Quito ties. [Ecuador's National Assembly speaker] Fernando Cordero Cueva said that those who oppose close ties between Iran and Ecuador have launched a propaganda campaign aimed at marring the positive relations between the two states. "But this negative propaganda cannot prevent the expansion of ties between Iran and Ecuador," he was quoted as saying by Fars news agency […]. The Uruguayan foreign minister said that Uruguay resisted the pressure exerted by former U.S. President George W. Bush's administration to reduce ties with Iran. "After Bush delivered a speech against Iran in Uruguay, a U.S. delegation visited our country (to pressure it over its relations with Iran). But despite all efforts and pressure, Uruguay is seeking to promote its ties with independent governments and nations like Iran," Almagro stated. Although Iran is currently the target of criticism from certain Western countries, Montevideo is keen to promote its cooperation with Tehran, he added. […] Almagro met with Iranian President Mahmoud Ahmadinejad, where the Iranian chief executive underlined Tehran's resolve to further increase all-out cooperation with Montevideo. "Under such conditions that the oppressive order ruling the world is moving towards demise and the world needs a fair order, the two countries can have further cooperation with each other in various fields," Ahmadinejad said at the meeting. Pointing to Iran and Uruguay's positive and constructive relations in recent years, he said, "All the existing potentials have not been utilized and the current conditions necessitate us to activate all our capacities in the interest of our nations." During the meeting, Almagro referred to the positive and age-old relations between the two countries, and said that despite the pressures and an allegation raised against Iran by certain world powers, Uruguay is seeking profound and strong relations with Tehran. Today the Jerusalem Post carried a follow-up to a story first exposed by Die Welt last December. Last year, according to the German media source, Communist Venezuela and Islamo-Nazi Iran inked a secret pact to build a medium-range missile base in the South American country. The presidents of the two countries, Hugo Chavez and Mahmoud Adhmadinejad, are vehemently anti-USA and anti-Israel. Pictured above: Ahmadinejad welcomes Chavez to Tehran on April 2, 2009. This week, Die Welt reports that Iranian engineers from the Khatam al-Anbia construction firm, which is owned by Iran’s Revolutionary Guards, actually visited Venezuela’s Paraguaná Peninsula in February. Citing information from “Western security insiders,” the German newspaper reveals that Amir al-Hadschisadeh, chief of the Revolutionary Guard’s Air Force, led the delegation. In addition to 20-meter-deep missile silos, the Iranian military plans to build a command and control bunker, barracks for missile troops, and a watch tower. The Iranians paid cash for the “preliminary phase of the project,” while the total cost is expected to amount to “dozens of millions” of dollars. The missile base will feature measures that deter air attacks against Venezuela, allowing the Chavez regime to launch missiles against enemies of both countries. The Paraguaná Peninsula is on Venezuela’s Caribbean coast and about 120 kilometers from the USA’s main South American partner, Colombia. The similarities between this development and the Cuban Missile Crisis, which took place almost 50 years ago, are striking. Not so coincidentally, both Chavez and Adhmadinejad are reliable strategic partners of Russia, which should provoke one to wonder who’s really behind the Caracas-Tehran missile pact. The neo-Soviet leadership has not hesitated to express its “concerns” over the placement of US anti-missile batteries in “ex”-communist Poland and Romania. So far, the Obama White House has not responded to this story. Journalists explored the secrets that hide behind the diplomatic offensive, military and business. MIAMI - Young Mexicans infiltrate in diplomatic circles of his country and was surprised that changes their lives forever: discover a plot against America. "Iranian threat", the latest joint production of documentaries and Univision Univision Research, premieres Thursday, December 8 at 10 pm ET / PT (9pm Central) on the Univision Network. Young people get recordings indicate that diplomatic Iran and Venezuela, would allegedly preparing a cyber attack on the White House, FBI, Pentagon and nuclear plants. For months, Univision journalists were given the task of exploring the secrets that hide behind the diplomatic offensive, military and business in Latin America and Iran experts inquired whether the region could become a new battleground between the Iran and the U.S. government. Reporters visited Mexico, Venezuela, Spain, Argentina, Colombia, Bolivia and several U.S. cities. * Images unreleased FBI undercover operation to dismantle a network enabled intended to blow up the JFK airport in New York. 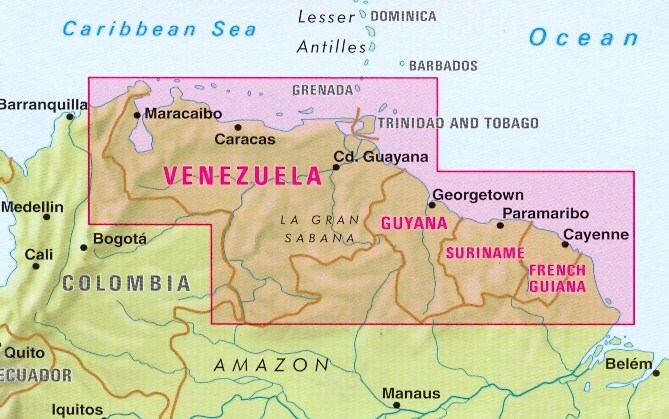 The network had connections in Venezuela and Guyana. * The dramatic experiences of a young Mexican student who infiltrated Iran to take a course on Islam. * The controversial role after racks that has played in Latin America, the Iranian cleric Mohsen Rabbani, the suspected mastermind of the attack in 1994 against Isarelí Mutual Association, better known as AMIA in Buenos Aires, Argentina. * Hezbollah connections with drug trafficking and money laundering in Latin America, according to U.S. federal authorities. * What he saw and documented a Spanish journalist who infiltrated the Bolivarian Circles of Venezuela and received military training there. "The goal is to produce documentaries that fully explore and investigate the stories behind current international issues," said John Rendon, head of documentaries Univision. "'The Iranian Threat', exposes the inner workings of terrorist networks and describes the threat this poses to the United States and Latin America." The making of "Iranian threat" required that a team of reporters spent months tracking the silent but steady expansion of Iranian interests in the hemisphere, including money laundering activities by terrorist groups and drug trafficking that are backed by Iran. Didziulis Vytenis reporter from Univision Research, visited several countries throughout Latin America and obtained a previously unpublished video of a failed bomb attack against the airport John F. New York Kennedy. In Mexico, the producer Jorge Motta discovered clandestine recordings of the alleged plot to attack Iranian computer systems of the White House, FBI, CIA, and several nuclear power plants. "Univision Research, the research team of journalists behind the production of 'The Iranian Threat', made great efforts to present crucial evidence about terrorist networks that threaten international security," said Gerardo Reyes, director of the Research Unit Univision News. "The work of this team reflects Univision's commitment to providing thorough audience research products that go beyond the daily news." In the past seven months, Univision Research Unit examined dozens of hours of secret recordings conducted extensive interviews with people who participated in the meetings, including a former Iranian ambassador, and analyzed documents ranging from handwritten notes to federal reporting interns. Narrated by award-winning Univision news anchor Maria Elena Salinas, "the Iranian threat," will air with subtitles in English and Spanish, accessible CCTV (closed captions). War with Iran about to start? Los Angeles Police Deputy Chief Michael Downing reportedly told members of the LAPD’s counter-terrorism unit on Wednesday that the LAPD is currently tracking local Iranian and Hezbollah agents that may initiate attacks in Southern California if war erupts between the U.S. and Iran. “In this region we have active terrorist plots, in this region, right now,” said Deputy Chief Michael Downing, commanding officer of the LAPD’s counter-terrorism unit. The remarks come on the heels of controversial new guidelines approved by the Los Angeles Police Commission on Tuesday regarding when LAPD officers can document suspicious behavior they believe could be linked to terrorism. The new policy, LAPD officials argue will help protect the public from what they said was the very real threat of terrorism. However, civil liberties groups fear that the policy violates protected privacy rights. "We ought to be ashamed of ourselves," said attorney Jim Lafferty of the National Lawyers Guild. He said the program, which also encourages residents to contact police about suspicions, would encourage neighbors to spy on neighbors. Not to worry, Deputy Downing assured members of the commission that no one would be targeted because of race, creed or religion. "It has nothing to do with profiling people, it is about behavior," he said. In addition to members of Iranian and Hezbollah terrorist organizations, Downing said LAPD is also currently eyeing members of sovereign citizen, homegrown violent extremists, animal rights groups and others. Peter Bibring, a Senior Staff Attorney for the American Civil Liberties Union of Southern California accused the LAPD of breaking a promise to make an additional change that would require officers to have a "reasonable suspicion" of an illegal act before they documented the activity. "It does not reflect our most fundamental concern," Bibring said. "It targets lawful activity." Downing said no such promise was made. LAPD officials said officers need to be vigilant for activity that might be lawful but also might be a sign of an impending terrorist attack. Huh? The LAPD said its suspicious activity reporting standards meet those adopted by the federal government. Federal suspicious activity reporting (SAR) program standards for identifying precursors to terrorism include commonplace activities such as using binoculars, taking pictures, drawing diagrams and taking notes. Federal SAR programs have been highly controversial for targeting innocent people, stopped by police for minor traffic infractions end up having their personal information collected for inclusion in fusion centers. The United States Department of Homeland Security funded Fusion centers have been criticized for the massive amount of personal information secretly collected and shared. Without oversight, members of the public that pose no threat to national security unknowingly are entered into a database as terrorist threats. "Taking photographs of things that are plainly visible from public spaces is a constitutional right – and that includes federal buildings, transportation facilities, and police and other government officials carrying out their duties. Unfortunately, there is a widespread, continuing pattern of law enforcement officers ordering people to stop taking photographs from public places, and harassing, detaining and arresting those who fail to comply." The Department is currently tracking “government of Iran operatives, Hezbollah, sovereign citizen, homegrown violent extremists, animal rights groups” and others, Downing said. There have already been law enforcement busts of Hezbollah operations in Los Angeles, but these have been the usual criminal schemes ranging from smuggling cigarettes to drugs and counterfeit products that the terrorist group uses to fund its operations. A seemingly small-time drug ring busted this week in Los Angeles was actually targeted for funding the Lebanese terror group Hezbollah. Prosecutors left out the terror tie when they announced Tuesday that federal agents and local cops had arrested a dozen people for allegedly peddling cocaine and counterfeit clothing in Bell, Calif. But several sources familiar with the investigation said the predominantly Arab-American gang was believed to have smuggled its crime cash to the Iranian-backed terror group. As we have already seen in Asia, Iran’s criminal empire can quickly be retrofitted to carry out terrorist attacks. The Iranian terrorist attacks in Asia were not very competent, but there is no doubt that its operatives in L.A. have been scoping out the Israeli consulate and its employees. And some of them have probably been studying their bomb manuals in between smuggling their cigarettes and peddling their heroin. Not to worry, Deputy Downing assured members of the commission that no one would be targeted because of race, creed or religion. "It has nothing to do with profiling people, it is about behavior," he said. Man.... are Liberals just ignorant, or does the government think everyone is just stupid? How can you possibly look for "suspicious behavior" that "links to terrorism" if you don't actually look at religion, race, or creed? For the uninformed, the word creed defines as a "statement of belief". How can you say you won't look at whether someone is Muslim, have stated they will blow up and kill innocent people or not look at whether or not they are from the middle East? What are they going to do then? Stop everyone? Ask them all the same asinine questions? Arrest the white guys cuz they are in the wrong neighborhood? Dino Bouterse allegedly attempted to invite Hezbollah to set up an attack base in South American nation in exchange for millions of dollars. A son of Suriname's president invited people he thought were from the Lebanese paramilitary group Hezbollah to set up a base in his country to attack Americans in exchange for millions of U.S. dollars, U.S. prosecutors said on Friday. Federal prosecutors who already were pursuing drug charges against Dino Bouterse, a son of President Desi Bouterse, filed the latest allegation in U.S. District Court for the Southern District of New York. The younger Bouterse's defense team said in a statement that he "is not, and never has been a supporter of any terrorist organization and never intended to render aid to such an organization." Dino Bouterse held a senior counterterrorism post in the South American country, but was arrested in Panama in August and sent to New York to face charges of smuggling cocaine into the United States. He pleaded not guilty to those charges. According to a superseding indictment, U.S. authorities recorded conversations Bouterse had with unnamed people and at least one U.S. agent who posed as members of Iranian-backed Hezbollah. The U.S. State Department has designated Hezbollah a foreign terrorist organization since 1997, and U.S. officials have sought to limit the group's operations in South America. The U.S. indictment said Bouterse was willing to allow Hezbollah fighters to have a permanent base in Suriname and agreed to an initial payment of $2 million. The indictment charges Bouterse with violating a U.S. law against providing support to a foreign terrorist organization. Desi Bouterse is a former military dictator accused of human rights violations, such as the killings of 15 political opponents in 1982. He ruled from Suriname 1980 to 1987, and reclaimed power in 2010. Born in Guyana, RAYMOND CHICKRIE was a teacher in the New York City public school system, New York, currently teaching in the Middle East. Since taking office in August 2010, Suriname’s new President, Desi Bouterse is set to expand ties with the Islamic world via the forum of the OIC (Organisation of Islamic Conference) and through bilaterally ties. At people to people level, strong ties have always existed with the larger Muslim World. In spite of geographical disadvantages and limited financial resources of an uprooted society from Asia to South America, the Muslims of Suriname have maintained strong ties with the Muslim World since 1873. Naturally, strong bonds exist between the local Muslims and Indonesia and with India and Pakistan because it is from these countries that Surinamese Muslims originated from. It was Bouterse, the shadow President during the presidency of Jules Wijdenbosh in the 1990s who oversaw Suriname joining the OIC. The two-time coup leader and now democratically elected President of Suriname, Bouterse, in the early 1990s looked East in an effort to attract investors and tap capital after ties with the Netherlands became severely strained. The Bouterse Foreign Policy Initiative emphasis strong ties with India, Indonesia, and Arab nations, Turkey, Brazil and the Caribbean. Today under the Bouterse government, Suriname for the first time has a Muslim Vice President, Robert Ameerali. More striking was the presence of President Bouterse at the recent Eid- ul- Fitr prayer where he joined local Muslims. It’s a serious indication that he is going to engage the Muslim world and more importantly, his government is looking to forge strong ties with the local Muslims of Suriname. At the government to government level, Suriname since 1975 has maintained friendly ties with major Muslim countries. There has been forever a natural fraternal relationship with Indonesia, the largest Muslim country in the world, since 18% of Suriname population is made of people of Indonesian decent. Libya is the only Arab-Muslim nation to maintain an embassy in Suriname, but in the 1990’s this relationship was further enhanced when Suriname joined the OIC in 1996. Since the 1990’s Suriname has established diplomatic ties with Oman, the United Arab Emirates, Qatar, Sudan, Saudi Arabia, Azerbaijan and Turkmenistan. In 1997 Suriname also became a member of the Islamic Development Bank (IsDB). Also, in 1996, Suriname made a pragmatic move to establish diplomatic ties with the Kingdom of Saudi Arabia. This relationship Suriname hopes will facilitate trade and investments the two countries. Suriname is keen in attracting capital investors for the different economic sectors. Saudi Arabia is also a member of the OIC, and is one of the largest shareholders of the IsDB. These developments took place when Bouterse party was in power. Since becoming a member of the OIC and especially during the presidency of Jules Wijdenbosh relationship with Iran also developed rapidly. In Tehran, the Foreign Minister of Suriname met his Iranian counterpart, Kamal Kharazi on the sidelines of the 8th summit of the OIC in 1997. Praising Iran, the Foreign Minister of Suriname expressed pleasure for attending the OIC Summit in Tehran. Briefing Kharazi on economic conditions in Suriname, the Suriname Foreign Minister expressed hope that his country will begin cooperation in industrial and oil sectors with Iran. He also asked for expansion of diplomatic relations between the two countries. Welcoming the proposal Kharazi expressed Iran’s readiness in cooperation with Suriname in the fields of interests of both countries. Iran then appointed an Ambassador to Suriname. US Mexican gangs are now fighting...for Hezbollah? A screengrab from the video on MEMRI's site. Two Los Angeles gang members appear to have joined the flow of foreigners flocking to fight in Syria – in this instance, on the side of President Bashar al-Assad. In a video posted online, the two men boast that they are on the front lines and fire their guns in the direction of what they call "the enemigos." The two men don't reveal much about what they are doing or why they are fighting for Assad. "It's Syria, homie, we're in Syria, homie. ... Frontline, homie, frontline, homie," says Wino. "In Middle East, homie, in Syria, still gangbanging," says Creeper, in comments typical of the 2 1/2-minute video. Thousands of Iraqi and Lebanese Shiite Muslims are meanwhile reported to be fighting on the side of Assad's government, as well as Iranians, some Russians and smaller numbers of Afghans, Pakistanis and other Arabs, making this a truly international war. General Salim Idris, the head of the rebel Free Syrian Army (FSA) accused Russia of using its ships in the Mediterranean to transfer Hezbollah fighters from Beirut , Lebanon directly to the mostly Alawite province of Tartus in western Syria. In an interview with the Turkish Anadolu News Agency he also accused Russia and Iran of supplying the Syrian army with 400 tons of ammunition every ten days. 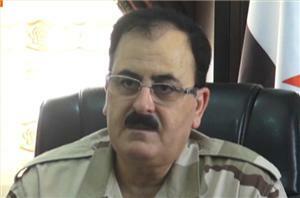 General Idris said that he had completely lost hope in the arrival of Western military aid for the Syrian revolution. “We cannot understand the attitude of the West. They first promised to lift the ban on arms sales to Syria, and then they gave up,” Idris said referring to the recent statements by the United States, the EU and France concerning supplying arms to the Syrian opposition. While acknowledging that the regime had made some gains in some fronts, Idris stressed that the situation in Syria is still in favor of the rebels. The well informed Kuwaiti Newspaper Al Seyasseh reported yesterday that the Hezbollah militant group has opened training camps in the barren mountains of the ancient city of Baalbek to receive hundreds of young Shiite volunteers from Iraq, Yemen, Syria and Lebanon for training them to fight alongside the Syrian regime forces against the mostly Sunni rebels. The Kuwaiti newspaper’s sources quoted Western intelligence as saying that “these camps currently contain about a thousand trainees who are being provided intensive training courses by Hezbollah experts, Iranian Revolutionary Guards officers and officers of the Syrian army . The daily added that this is all part of a program aimed at training 20 thousand fighters over the next few months who will be transferred to the fronts in Syria. The EU foreign ministers agreed on Monday to list the military wing of Hezbollah as a terrorist organisation. Hezbollah’s involvement in the war across the border in Syria, in support of President Bashar al-Assad reportedly hardened European opinion with regards to the Shiite militant group. When Americans think about the illegal drug trade and black markets in Mexico, it is probable that they do not associate them with terrorism, or Islamic fundamentalism. One would think that drug cartels like Los Zetas, the most sophisticated and second most powerful drug cartel in Mexico would have enough allies and connections not to need the assistance of an organization like Hezbollah based half way across the world in Lebanon. However, there is proof that Hezbollah, as well as elements of the Iranian Quds force are functioning with cartels like Los Zetas, the most sophisticated drug cartel in Mexico. The combination of power hungry cartels like Los Zetas, and terrorist organizations like Hezbollah who want a presence in North America, in or near the United States inhibit U.S. companies from wanting to conduct business in Mexico, and should not remain unnoticed. The question is, how did this deadly alliance come into existence? For decades, immigrants, legal and illegal, have been arriving in Mexico from Lebanon. This population has been growing steadily, and has a certain level of favorability with Hezbollah. One of the creations of Hezbollah in Mexico is that of well-connected global drug dealers, like Ayman Joumaa. Joumaa, indicted in 2011 is of Lebanese heritage, and has been linked to Hezbollah, and Mexico’s Los Zetas cartel. With the help of the Los Zetas, and companies like The Lebanese Canadian Bank, Ayman Joumaa has laundered between $850 and $900 million. Joumaa is known among Israeli intelligence as being in contact with Hezbollah elite forces, and was connected to senior operatives handling Hezbollah drug operations. He has received bulk payments of U.S. dollars in Mexico City after coordinating drug shipments from South America to the Los Zetas cartel, receiving a cut for laundering and camouflaging funds. Drug and contraband profits were disguised through the trading and selling of used cars through an exchange in Africa with the help of Beirut exchange houses. Eventually, similar fraud rings connected to Joumaa were discovered throughout North and South America, and the Middle East. Various methods of investment fraud are typically used by drug dealers to cover their tracks. Many fraud rings use creative investment tactics that can pass as legal activity if not scrutinized. One such operation involved the selling of thorough-bred horses to cover up the trade of millions of dollars in fraudulent drug money. Since 2005, Iran and Hezbollah have developed a presence in Latin America, opening 17 cultural centers, and forming relations with the Mexican drug cartels. 200,000 immigrants from Lebanon and Syria, many of whom are illegal residents, live in Mexico, and have established residence with the help of drug cartels like Los Zetas, the most technically advanced of Mexico’s drug cartels. Those who are sympathetic to Islamic extremist movements make perfect recruits for the drug trade because they understand how illegal activity in the Americas empowers whoever wishes to weaken the power of U.S.
As shown by the increase of Islamic missionaries in Mexico, as well as the growing influence of Hezbollah and Iran, it is clear that Islamists are trying to win the hearts and minds of the Mexican people. However, beneath these seemingly peaceful developments lie the fact that Iran’s Islamic Revolutionary Guard and Quds forces are partnering with major Mexican drug cartels. They are learning Mexican culture, as well as Spanish, and are starting to blend in with native-born Mexicans. Hezbollah has training bases and sleeper cells in Mexico and South America. They also assist drug cartels with skills in bomb-making and explosives. Hezbollah has also created tunnels on the American border that are extremely similar to those dividing Gaza and Egypt. These tunnels are perfect for the transport of illegal conventional and biological weapons to contacts in the United States. Weaponry created by Hezbollah is capable of killing hundreds of thousands of people in major U.S. cities. Former Assistant Secretary of State for Western Hemisphere Affairs, Roger Noriega believes that an attack on U.S. personnel installations by Hezbollah is possible. It is known that they have expanded from their operations in Paraguay, Brazil and Argentina, and are gaining ground in Central America and Mexico. The relationship between Hezbollah and Los Zetas has almost touched down on American soil. Los Zetas was to be paid to bomb the Israeli Embassy in Washington, and the Saudi and Israeli embassy in Argentina. Why is the combination of well-connected drug dealers, terrorist organizations like Hezbollah, and the Zetas such a dangerous combination? It is a money laundering operation that has the power to supersede local government, weaken communities, and make people subject to criminal tyranny. It is highly possible that this threat could become a reality in the United States. In 2011, Iran’s Quds forces attempted an assassination against the Saudi Ambassador to the United States enlisting the use of the Los Zetas cartel. Luckily, this plot was thwarted by agents in the United States Drug Enforcement Agency (DEA). The Los Zetas Cartel is a deadly crime machine that diversifies in illegal drugs, human trade, money laundering, and the exchange of illegal weaponry. Many of its members were recruited from police and armed forces in Mexico. Techniques involving ambushes, defensive positions, and intelligence used by the military are now applied by Mexico’s criminal syndicates. Los Zetas is prominent in 6 Mexican states, and actively infringes on government solvency in northeastern Tamaulipas. Many view the Mexican state of Guerrero as one where the power of Los Zetas narco-criminals is equal to that of the local authorities. Los Zetas has even siphoned $1billion dollars in fuels from state-run oil producer, Pemex through their pipelines. In Tamaulipas, five people were killed as Los Zetas sought to take control of a Pemex well. Some of Los Zetas’ allies are among the most powerful cartels in the world, including Beltrán-Leyva, the Juarez and Tijuana cartels, Bolivian drug clans, and ’Ndrangheta. It is understandable why the Mexican government would be apprehensive about marginalizing the power of Mexican drug cartels. They have seen many of their people die as a result of the war against the cartels. The Mexican economy also benefits greatly from the high profit margins of illicit drugs and other forms of illegal contraband. Latin America is home to one of the largest underground economies in the world. 600,000-800,000 people are smuggled through international borders every year, generating $16 billion each year in human trafficking and sexual exploitation. These staggering financial statistics have won over many law officers in Mexico who initially fought against the cartels. The lure of criminal activity and the drug trade, coupled with the presence of Hezbollah and Iranian Quds forces in neighboring Mexico present the United States with a major threat at its borders. Dr. Matthew Levitt, senior fellow and director of terrorism studies at The Washington Institute for Near East Policy, as reported in CNS News.com in 2010 stated that Hezbollah’s ties to Latin American drug smugglers poses a “significant” threat for U.S. national security and “In the event the nuclear confrontation with Iran gets worse rather than better, having a militant organization like Hezbollah on, and even within our border- it certainly does pose a threat”. The obvious question is whether or not the United States is taking the necessary precautions to counter what is likely to become an even larger problem if left undeterred. *Terence Rosenthal is a political consultant and writer who is currently interning at The Center for Security Policy in Washington D.C.
Hezbollah (the party of Allah) supported by Iran is a terrorist organization that is fighting with the Assad regime in Syria. According to the National Drug Intelligence Center known Los Zetas cells are in Miami, Gainesville and West Palm Beach, Florida. The National Drug Intelligence Center (NDIC) assesses with high confidence that in 2009, Mexican drug trafficking organizations (DTOs) were operating in the United States in at least 1,286 cities spanning all nine Organized Crime Drug Enforcement Task Force (OCDETF) regions, based on law enforcement reporting. Moreover, NDIC assesses with high confidence that Mexican DTOs in at least 143 of these U.S. cities (see Appendix A) were linked to a specific Mexican Cartel or DTO based in Mexico—the Sinaloa Cartel (at least 75 cities), the Gulf Cartel/Los Zetas (at least 37 cities), the Juárez Cartel (at least 33 cities), the Beltrán-Leyva DTO (at least 30 cities), La Familia Michoacán (at least 27 cities), or the Tijuana Cartel (at least 21 cities). NDIC assesses with high confidence that Mexican DTOs will further expand their drug trafficking operations in the United States in the near term, particularly in the New England, New York/New Jersey, Mid-Atlantic, and Florida/Caribbean Regions. “The lure of criminal activity and the drug trade, coupled with the presence of Hezbollah and Iranian Quds forces in neighboring Mexico present the United States with a major threat at its borders,” writes Rosenthal. Beware Florida of the terrorists amongst us. In December 2011, the US Government released an indictment filed against Lebanese drug lord Ayman Juma, which thereby exposed Hezbollah , one of the most dangerous religious extremist terrorist networks in the world to be involved with Los Zetas. Los Zetas use Hezbollah to laundry money, and with a 8-14% commission the terrorist network is getting its much needed money after sanctions placed on Iran left Iran unable to fund Hezbollah. Los Zetas use brutal and unimaginable methods to maintain their iron grip on the areas of influence. They prefer brutality over bribery and perform indiscriminate slaughter, mass beheadings, mass graves, and torture. Los Zetas have taking over a large part of Mexico and are continuing to expand with their rein of terror. We have been seeing examples over the past few years of The Mexican Cartels including Los Zetas hiring American Military muscle to perform contract killings. According to Fred Burton Fred Burton, vice president for STRATFOR Global Intelligence. "It is quite worrisome to have individuals with specialized military training and combat experience being associated with the cartels." According to a new investigative report from CNN, the Venezuelan government has been issuing official passports to any individual willing to pay for one in Iraq, even if they have ties to terrorism. A whistleblower working for the Venezuelan Ambassador to Iraq alleges workers in the embassy have been making millions of dollars off of the practice, putting the lives of people living in western countries at risk. One confidential intelligence document obtained by CNN links Venezuela's new Vice President Tareck El Aissami to 173 Venezuelan passports and ID's that were issued to individuals from the Middle East, including people connected to the terrorist group Hezbollah. Venezuela is a close ally of Iran, the backer of Hezbollah, and extremely hostile to the United States. Hezbollah is the most prevalent terrorist organization in the world and be fore 9/11 was responsible for more American deaths than any other terrorist organization. The group operates in over 40 countries and on 5 continents, including operations in at least 15 U.S. cities and four major Canadian cities. Those traveling on a Venezuelan passport must obtain a visa to enter the United States, but can enter 130 other countries without one. February 3, 2017 —This piece was submitted in response to Christopher Sabatini's article considering the Islamist threat in Latin America. The views expressed are the author's own. The Trump administration should disrupt Hezbollah’s Latin American sources of revenue by targeting its operatives and their businesses with a sustained sanctions campaign, it should strengthen the Drug Enforcement Administration’s (DEA) efforts to try Hezbollah operatives involved in drug trafficking, and it should punish local elites who facilitate Hezbollah’s continuing presence in the region. Leveraging existing executive orders and sanctions legislation, the Obama administration targeted Hezbollah’s financial operations, mainly in Lebanon and the Gulf, after Congress passed the Hezbollah International Financing Prevention Act in late 2015. However, it avoided taking action in Latin America, despite evidence of Hezbollah’s growing presence there. In his previous capacity as head of US Southern Command, now-Homeland Security Secretary John Kelly told Congress in 2015 that Hezbollah enjoys support among Lebanese diaspora communities in Latin America. These include merchants and operatives involved in “lucrative illicit activities like money laundering and trafficking in counterfeit goods and drugs.” Drying up their sources of funding is therefore essential to a successful counterterrorism strategy. Washington has used sanctions to target Hezbollah’s Latin American activities in the past, albeit with limited success. In 2006, the Treasury Department designated nine individuals, a company, and a shopping center in Paraguay as terror financiers for Hezbollah. They included Hezbollah operative Sobhi Mahmoud Fayad for his involvement in illicit activities that included trafficking drugs and counterfeit US currency. In 2010, the Treasury added Bilal Mohsen Wehbe, a Lebanese cleric currently based in Brazil, to the list. These measures have had limited impact, however, because, as I wrote elsewhere, none of the Latin America-based Hezbollah operatives sanctioned during the last decade has suffered any significant consequences, either personally or to their business. Local governments have either ignored or protected them. Targeting Hezbollah’s drug activities through law enforcement has been more successful. Over the years, cases prosecuted both in US and foreign courts targeted Hezbollah-linked operatives acting as logistics and financial service providers to drug cartels and, more recently, as traffickers, distributors, and suppliers of precursor chemicals used to refine cocaine. In 2008, the United States extradited two members of the Zaiter clan, Nemr Zhayter from Paraguay and his brother Yahya Zaitar from Romania, for international trafficking of cocaine and heroin. They were convicted in 2012. In 2011, the Treasury designated Ayman Saied Joumaa, a Sunni Lebanese with a Colombian passport, for his key role in the Canadian-Lebanese bank case, a Hezbollah money laundering scheme for Colombian cocaine that crisscrossed Latin America and West Africa, generating hundreds of millions of dollars in the process. In February 2016, a joint DEA-European operation disrupted a Hezbollah network responsible for selling cocaine in Europe and using the revenues to finance the group’s ongoing military involvement in support of the Syrian regime. According to reports, the network worked with Latin American cartels. Evidence of Hezbollah’s partnership with Latin American organized crime points to a deepening relationship between criminals and terrorists for their mutual benefit, and reveals the financial value of the operation. It also reveals Hezbollah’s vocation not just as a global terrorist organization, but also as a global criminal one, where its criminal branch works to finance its terrorist arm. First, the Trump administration should initiate a thorough review of existing sanctions against Hezbollah operatives in Latin America. Many are more than a decade old and require updates. This exercise will likely reveal new businesses and activities associated with people already under sanctions that should be added to the current list. Next, the continuing business activities of individuals and entities sanctioned by the Treasury occur because local governments are either reluctant to implement US sanctions or actively cooperate with the terrorists. The administration should demand that they either comply or face consequences. These should include imposing 311 designations on financial institutions known to be used by Hezbollah financiers to move their revenues, designating banking sectors of countries that facilitate Hezbollah’s terror finance as zones of primary money laundering concern, working within international forums like the Financial Action Task Force to have such countries blacklisted, and denying implicated politicians visas to the US and making them personae non gratae in Washington. Much more can be done to disrupt Hezbollah’s illicit financial networks in Latin America. Recognizing the threat and initiating the above steps would be a good place to start in the fight against the global threat of radical Islamic terrorism. Emanuele Ottolenghi is a senior fellow at the Foundation for Defense of Democracies and an expert at its Center on Sanctions and Illicit Finance focused on Iran. Iran Is Stockpiling Shahab 3 Missiles in Venezuela to Reach U.S.
Russia and Iran were both set to send military forces to Venezuela in a show of support to the socialist Latin American nation, whose embattled economy has been further damaged by U.S. sanctions. The Russian Defense Ministry announced Monday that two Tupolev Tu-160 strategic bombers, an Antonov An-124 heavily military transport aircraft and an Ilyushin Il-62 long-haul plane arrived at the Simón Bolívar International Airport in Caracas. Venezuelan Defense Minister Vladimir Padrino said that up to 100 Russian personnel would arrive as part of a joint air exercise, according to his ministry. Padrino said "that nobody in the world should fear" the presence of the Tu-160s and other Russian aircraft because "we are builders of peace and not war," touting the country's bilateral ties. "The aircrew of the Russian Federation are welcome to this heroic land," Padrino tweeted alongside images of the Russian military delegation's arrival. "It is a new opportunity to strengthen our relations in the military field and continue walking a path of cooperation and sincere friendship. Peace is our objective." Despite this message, the Russian Defense Ministry noted that, "at certain stages of the flight, the Tu-160 bombers were followed by F-16 fighter aircraft of the Norwegian Air Force while the flight was carried out in strict accordance with the international rules on the use of airspace," as cited by Russia's state-run Sputnik News. Moscow's embassy in Washington also affirmed that the 6,200-mile journey was undertaken in compliance with international aviation law. Norway, which neighbors Russia, is a founding member of the U.S.-led NATO Western military alliance. Like a number of countries in the region, Oslo has expressed concern over what it viewed to be increasingly aggressive behavior from Moscow. The U.S. and Russia have accused one another of pursuing destabilizing foreign policies and, while Washington hardens its stance toward Moscow through sanctions, the Kremlin has sought to develop new ties with fellow critics of the U.S. in South America. Following Cuban President Miguel Diaz-Canel's visit to Moscow last month—a trip that inspired comparisons to the Cold War and Cuban Missile Crisis amid U.S. threats to scrap a nuclear missiles deal—Venezuela President Nicolás Maduro traveled to the Russian capital last week to boost ties. Russian President Vladimir Putin was said to have promised both countries lucrative deals, with Maduro's claiming to walk away with up to $6 billion worth of investment. The money was direly needed as Venezuela's economy has continued to spiral downward, with hyperinflation causing consumer prices to skyrocket some 833,997 percent in the past year. Maduro attempted to introduce a new currency in August, but the government's attempts have so far done little to ease a crisis that has led to massive shortages in essential goods as well as an exodus of millions. Meanwhile, the Trump administration has doubled down on efforts to undermine the Venezuelan government, reportedly mulling adding it to the State Sponsors of Terrorism list. Maduro has long accused the U.S. of preparing a coup against him, especially after he was apparently targeted in an assassination attempt using explosive-laden drones in August. Trump would later mock the incident. Last week, Defense Secretary James Mattis said that the Venezuelan strongman must let go of power, but "it’s up to the Venezuelan people" and "regional states" to oust Maduro. His predecessor, Hugo Chavez, faced a 2002 coup that, to some degree, was tied to the U.S., though it has denied any direct involvement in the face of repeated Venezuelan accusations. Russia is not the only country backing Venezuela. Iran, another nation whose soured ties with the U.S. stemmed from regime change, is also offering some support. Like Russia and Venezuela, Tehran has been the target of U.S. sanctions. The two countries have been at odds since a 1979 Islamic Revolution that ousted a pro-West monarchy reinstalled by a CIA-backed coup in 1953. Though relations briefly improved as they came together to sign a 2015 nuclear deal together, Trump's decision to abandon this deal over accusations that the Islamic Republic sponsored terrorism and its development of ballistic missiles has brought another fallout, as well as costly sanctions for the revolutionary Shiite Muslim power. Iran was also in need of international allies, but it was the U.S. that was widely condemned for its unilateral withdrawal of the nuclear accord in May. Fellow signatories China, France, Germany, Russia and the United Kingdom have set out to establish a system to continuing dealing with Iran and bypass U.S. sanctions. Seeing an opportunity to flaunt recent military advances in the Western hemisphere, Iranian naval deputy commander Rear-Admiral Touraj Hassani Moqaddam said earlier this month that Iran's new Sahand destroyer may soon be coming to Venezuela. “Among our plans in the near future is to send two or three vessels with special helicopters to Venezuela in South America on a mission that could last five months," Moqaddam told the semi-official Mehr News Agency, as cited by Reuters. As Iran and Venezuela become increasingly isolated and sanctioned by the U.S and much of the international community, the two governments are said to be tightening their bond - with the help of Tehran's proxy group, Hezbollah, in the middle of the action. Venezuela’s connections to Iran – and by default its proxy militia, Hezbollah – go back more than a decade. Hezbollah, which translates to “The Party of God,” is an Iran-backed, Shiite-dominant political and military group that began in Lebanon in 1982, following the Israeli occupation. It was designated a foreign terrorist organization by the U.S State Department in 1997. The links between the countries and the terrorist outfit are said to conjoin in an array of ways. Investigations in recent years have also revealed Venezuelan officials have directed schemes to sell passports to foreigners in the Middle East. In 2015 testimony given by an adviser to the Venezuelan embassy in Iraq, Misael Lopez Soto, the government is alleged to have delivered diplomatic documents to terrorists in the Middle East. Embassy employees were also said to have sold visas, passports, identity cards and Venezuelan birth certificates to those in the region who can pay between $5,000 and $15,000. The “mystery” flight that shuttled between Venezuela, Syria, and Iran for three years – which was listed as a commercial route, yet no tickets were available for purchase without government vetting – was abruptly canned in 2010, amid a growing chorus of accusations that it was being used to move spies, terrorist and deadly cargo among the persona non grata nations. There has also been close military cooperation among Venezuela, Iran and Hezbollah. Beginning around 2012, Iran’s elite counter-terrorism unit, the Quds Force, started ramping up its irregular warfare Latin America training program – often using Hezbollah operatives to train both the Venezuela military and Colombia’s FARC rebels. Quds Force-based operatives were also believed to be placed inside Iranian embassies and within religious institutions. The Quds Force was especially present within Venezuela’s National Guard, “providing assistance to the regime for keeping the opposition at bay,” according to analysts. The group also targeted youth of Muslim origin for recruitment. Some intelligence officials now believe recruits in Venezuela first receive “indoctrination that can last months,” and are sent to undisclosed “secondary” training camps across the country to receive training specific to urban combat.” They are then shipped to “primary” facilities – sometimes off-shore – for higher -evel training. Dozens of recruits are also sent to Iran, rotating in groups of 10-20 every two to three months, according to Obdola. In a video viewed by Fox News, ostensible relatives of Iran’s Mohsen Rabbani can be seen “sending a message to Venezuelan followers” in Spanish, which is alleged to be part of the inter-country training. Rabbani has been accused of being the mastermind behind the 1994 AMIA terrorist attack on the Jewish community in Argentina that killed 85 people. Venezuela has also long been deemed a facilitator to assist Iran in evading sanctions – with the two countries coordinating to develop an array of business enterprises, financial institutions and religious foundations to launder Iranian money and solicit technology – dating bate to the Hugo Chavez and Mahmoud Ahmadinejad days. A crucial pillar of the relationship was to spread anti-American sentiment across Latin America. Yet tensions between Venezuela and neighboring countries like Colombia have long been at odds over Venezuela’s suspected sanctions-evading support for Iran, especially through weapons exports and trades between the countries. A year earlier, U.S. intelligence reports indicated the two governments had established a “National Geoscience Database” with the intention to survey mineral deposits in Venezuela, prompting alarm it could be the restart of a uranium program. The current status of the program remains unclear. According to the source, the capabilities between the two pariah countries comes from “synergizing” their economies and leveraging one another’s skills and assets. Sources also pointed out the “tunnels” typically used in the region for narco-terrorist purposes are “not surprisingly similar” in structure to those constructed in the Middle East by Iranian-backed groups, Hamas and Hezbollah. The leaders of both countries also share the commonality of continuing to accuse the United States of plotting regime change against them. While sanctions against Iran were reinstated last year after President Trump pulled the U.S out of the JCPOA, better known as the Iran Deal, Venezuela faced an increasing number of sanctions as the country's economy continued to crumble. But the U.S Department of Justice last year claimed that some of the money used in the housing scheme went to purchase property in California, in violation of the trade embargo on Iran, according to a criminal indictment in New York federal court. Iranian national Ali Sadr Hashemi Nejad, who also had a passport to the Caribbean island of Saint Kitts, was indicted in March on numerous counts for the alleged violation. to be his Vice President, and thus relegated to the critical role of overseeing the country’s Intelligence Service. According to one Venezuelan intel source, Aissami – born to a Lebanese mother and Syrian father – is one of the wealthiest men in the country, and for years has been under investigation by U.S. prosecutors for having close connections to Hezbollah and financing from their drug trafficking. Aissami remained in the second-in-command role until June of 2018, when he was shuffled to the position of Minister of Industries and National Production. But “Tareck is the most powerful official of the Venezuelan regime in charge of all the support, financing and expansion of Hezbollah in the Hemisphere,” Obdola said. There are others said to be involved in the Venezuela-Iran connection. Aissami's brother, Feras El Aissami, is believed to have moved to Uruguay last year, closer to the coveted “tri-border” area for drug trafficking operations. Then there is Ghazi Nasr Al-Din, a Lebanese national who became a Venezuelan citizen in 1998. He is wanted by the FBI for questioning regarding his alleged “fundraising efforts” with Hezbollah contributors. Al-Din, a former Venezuelan diplomat who served in their Syrian embassy, reportedly met with Hezbollah officials in Lebanon to “discuss operational issues,” beginning around 2006. Al-Din reportedly also sought donations for Hezbollah, and announced the opening of a Hezbollah-sponsored community center and office in Venezuela, according to the FBI. He later moved on to the Venezuelan embassy in Beirut. Some Venezuelan intelligence experts say relations between the two countries “peaked” during the reigns of Hugo Chavez and Mahmoud Ahmadinejad – both of who were out of office by 2013. But Iran is said to have affirmed its stronghold in Venezuela in the years since. Indeed, other areas of Latin America, outside of Venezuela, have interacted with Hezbollah. In December, Deputy U.S Secretary of State John Sullivan cautioned that several Latin American countries are being forced to face “regular” terror plots at the behest of Hezbollah. U.S authorities consider the tri-border (TBA) region – comprised of Argentina, Brazil, and Paraguay – as a refuge for transnational crime and terrorist organizations. The area is often characterized as the most important Hezbollah base of operation outside of Lebanon. Sullivan’s warning came just weeks after the leading counterterrorism official at the State Department, Nathan Sales, told lawmakers Hezbollah has developed “large caches of military equipment and explosives” in Bolivia, in addition to sending operatives to Peru. “The Venezuelan regime has been providing assistance to Hezbollah since 2005. The assistance started by facilitating Venezuelan IDs, including passports to Hezbollah operatives and later on they started bringing Hezbollah operatives to Venezuela and from there they travel to destination countries in Central and South America,” Obdola explained.